Everybody wants to feel like a Formula One or Indy 500 pilot, and this is the best way to live that dream. A great place to get started is by working with a school. 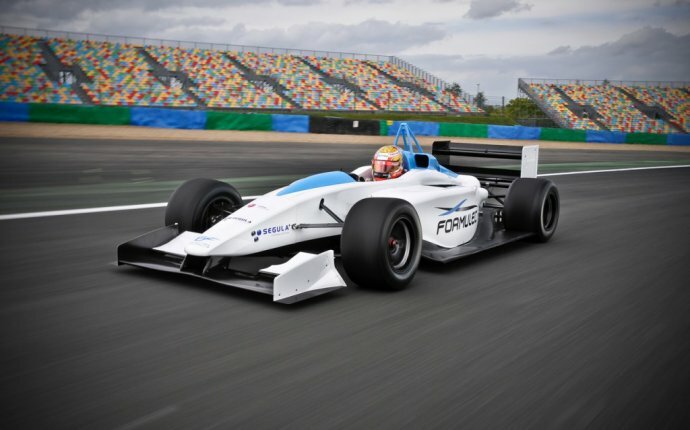 You can use their cars and get some very good instruction on the basics and there are formula car racing schools within a days drive from almost anywhere in the country. Once you are comfortable it is time to consider where you really want to compete. Some drivers stay at the school racing level as it is usually a much smaller budget than moving into a upper level racing series. Determine which class fits your budget and current skill level. Consider contacting an FCC team for assistance with this and support. Purchase/rent a car to do some pre-race testing. Enter Formula Car Challenge competition. With its three categories the Formula Car Challenge presented by Goodyear offers competitive racing for a wide range of budgets. "One of our regular FM race winners told us that he never spends more than $15, 000 per season including tires, entries, travel and accommodations, " stated Series Official Jeff Loge. "This is a guy who has won a lot of races and championships in the Formula Mazda class, but of course he is doing all the labor and transport himself." Drivers looking for an "Arrive & Drive" program should contact FCC teams as each team has unique opportunities. "We have an all inclusive 10 race program in the new FormulaSPEED for less than $60k, " noted World Speed Motorsports Operations Manager Jan Trojan. "I don't know anywhere you can race this level of car at these types of events for anything close to this budget." The Formula Car Challenge presented by Goodyear has low operating costs compared to most national series. Even the FCC arrive and drive programs are a small percentage of the costs of racing in the upper levels of open wheel racing in North America. "The cost savings come from a limited amount of travel, and much lower entry fees, " added Loge. The series has support from Goodyear Racing tires, and Mazda USA. Since 2010, Goodyear has presented FCC drivers with more than $250, 000 in tire awards, and Mazdaspeed Motorsports has offered cash contingency, along with making FCC National Champions eligible for their Mazda Road to 24 Shootout. This program awards one talented club racer with a full season of factory support. In 2013, two FCC Champions were selected for the Mazdaspeed Club Racer Shootout. @IndyCar Been watching y'all for a long time going back to the CART days. One of my favorite Open wheel racing series in the world.